The Finn Comfort Andermatt 6550 is a traditional clog with nontraditional comfort. 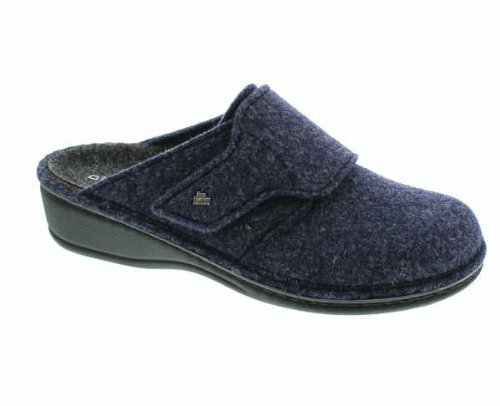 Proudly boasting of a wool upper for a softer feel, this amazing women's slip-on also boast of contrast stitching for additional flair. Its removable ergonomic footbed provides superior support and comfort, while leather lining naturally repels moisture leaving your feet dry and fresh. One-component PU outsole lends extraordinary traction that is sure to last throughout the entire day. Perfect choice to pair with any casual outfit for a more simplistic yet distinctive look.